The remake of System Shock that Kickstarter backers got behind a few years ago has had some fits and starts, but after an abandoned art direct and scrapped game engine, the revitalized version is looking more like the original 1994 Looking Glass title, but through a modern lens. Developer Nightdive Studios has posted some fresh footage from the alpha version of System Shock, built in Unreal 4 and looking much more faithful to the source material than it did in previous incarnations. 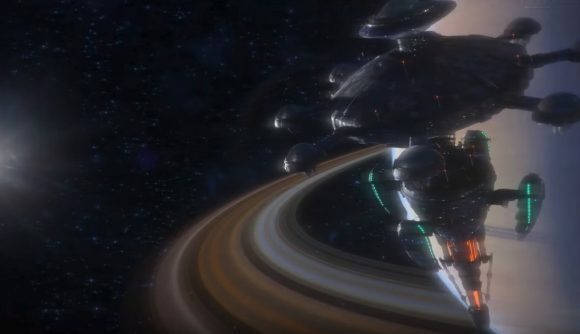 High-tier backers can now explore all of the rebuilt Citadel Station, and check out audio logs, emails, and mission objectives from the game’s start to finish. It does feel a lot more reminiscent of the original immersive sim now: there’s the weird geometry, the colorful textures, and even chunky pixels of the old game all present, although now they’re seen through a much slicker Unreal-powered lens. What we don’t get to see is enemies or weapons, or any of the cumbersome inventory interface that helped create the tension of the first ground-breaking System Shock title. It’s strange to see modern FPS camera movement and reflections, not to mention glowing lights and fog, in environments that are so familiar as chunky DOS levels for those of us who played and loved the original. But I think it works, and it’s going to be exciting to see how Nightdive handles the old sprite-based enemies when it gets to that point. Earlier this year, Nightdive released the original source code for OG System Shock, which you can use as a point of comparison if you’re interested. The studio estimates it’ll be ready for prime time sometime in 2020.